In 2001, SBS sought to ‘take the temperature’ of multicultural Australia through research. 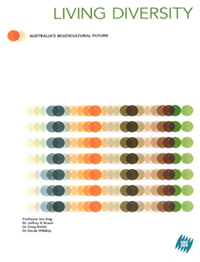 Not long after the S11 events in the US changed much reporting about diversity, a quantitative study was conducted based on a 90 part telephone survey with 1,437 Australians (including representative samples of Lebanese, Somali, Filipino, Greek and Vietnamese Australians) analysed along with focus groups of Indigenous Australians. 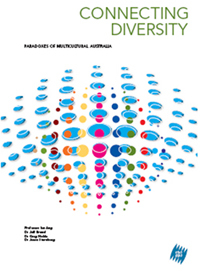 The results, published as Living Diversity, revealed a set of positive attitudes towards Australian diversity, with regular, normalised intercultural exchange (termed ‘everyday cosmopolitanism’ by the report). Issues of identity and belonging, however, meant that Australian multiculturalism was ‘unfinished business’. Cultural diversity has become mainstream for younger Australians, particularly second- and third-generation Australians, in a way that differs radically from the experiences of their parents’ or grandparents’. The multiculturalism embraced by younger people is based on intercultural connection, not separate communities, although there is endorsement for the freedom to maintain one's cultural heritage and language. One of the opportunities raised by this study is to deepen our national understanding of diversity, and that means embracing the complexities, the paradoxes and the apparent contradictions revealed in this research. This research conducted by The Ipsos Mackay Report, Australia’s longest running and only continuous program of qualitative social research, aims to better inform the debate about immigration in this country – long a political hotbed of views. Apart from providing a historical perspective on attitudes towards immigration, the research also provides a deeper understanding of the range and complexity of attitudes towards immigration in the Australian community and the perspectives and experiences of Australians from diverse migrant backgrounds. 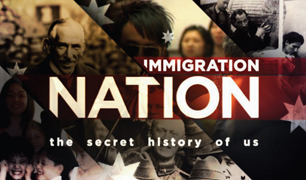 Australian audiences reacted strongly to SBS’s two flagship documentary series for 2011 – Immigration Nation and Go Back To Where You Came From. Research conducted by Entertainment Insights shows the series filled a knowledge gap for Australian audiences and provoked reflection on Australian attitudes towards new arrivals to our shores. The cultural diversity messages of the case study programs, East West 101 and The Circuit, were seen as potent and necessary. The stories and the multicultural content were key elements in capturing many of the participants’ engagement with the program. Both programs were recognised as presenting a different and more balanced perspective on Muslim and Indigenous issues, perspectives perceived to be largely absent from our commercial screens. People reported that the programs made them think about issues more deeply than they did previously.